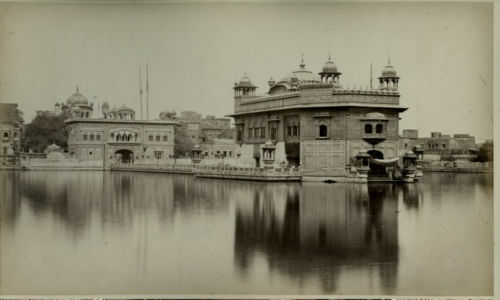 Sri Harmandir Sahib Ji was constructed during the leadership of the fifth Guru (Guru Arjan, 1581-1606), it was completed in 1601. 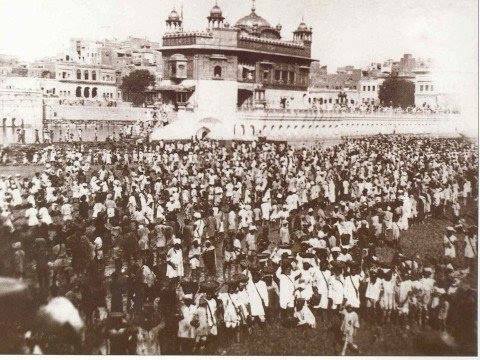 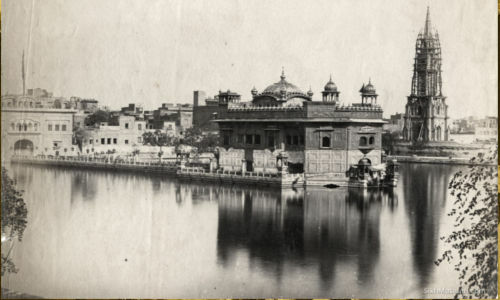 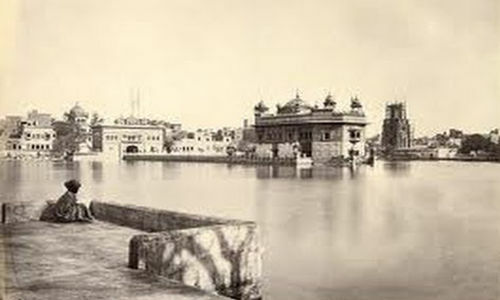 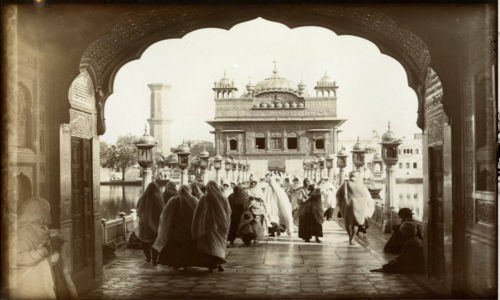 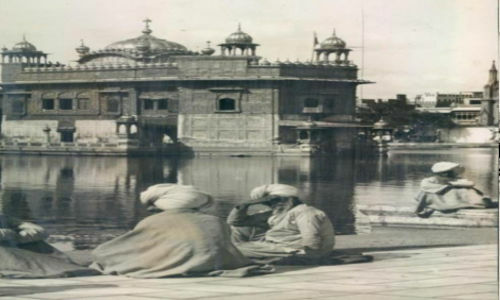 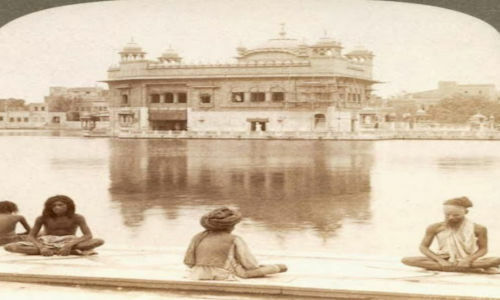 The development of the Harmandar Sahib and Amritsar have gone hand in hand; the city was formerly known as Ramdaspur, and on construction of Harimandir Sahib became known as Amritsar. 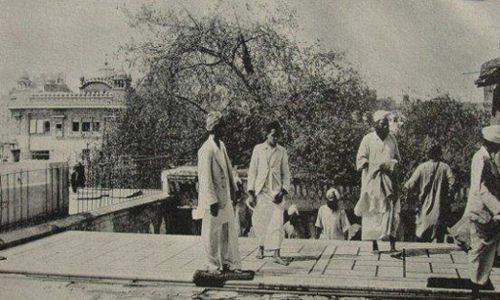 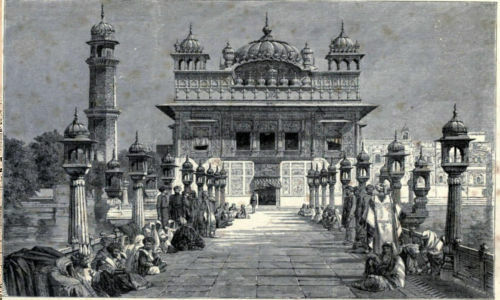 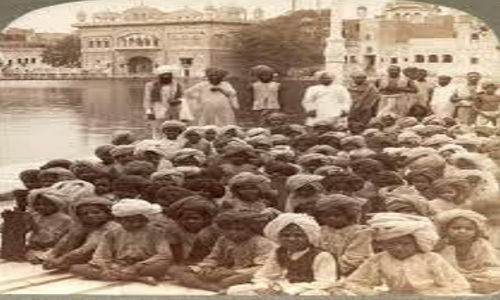 Guru Ram Das ji encouraged traders and businessmen to settle in the city with the development of the Guru Ka Bazaar and the market at Chowk Passian. 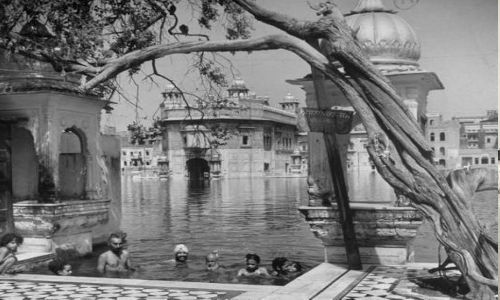 During the times of the fifth and sixth Gurus, plans were made and implemented to expand the city; wells and baolis were constructed to supply water to the ever growing groups of pilgrims. 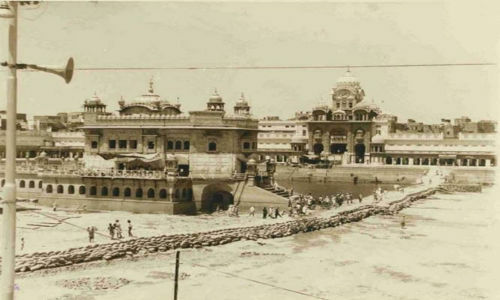 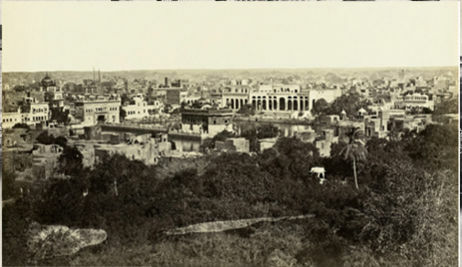 The garden, Guru Ka Bagh was laid out to the south-east of the Harmandir. 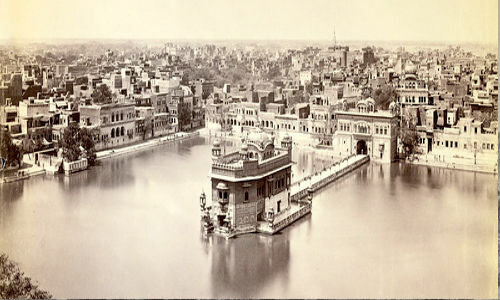 The area surrounding the temple was developed into markets, gardens, homes and residential palaces. 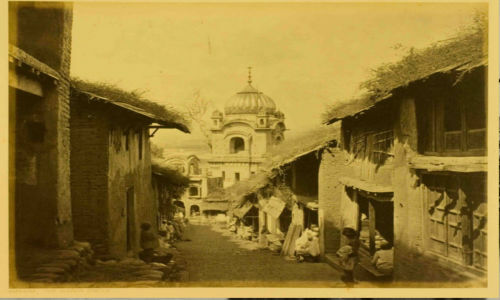 Guru Arjan Dev ji also lived in one of these newly constructed houses. 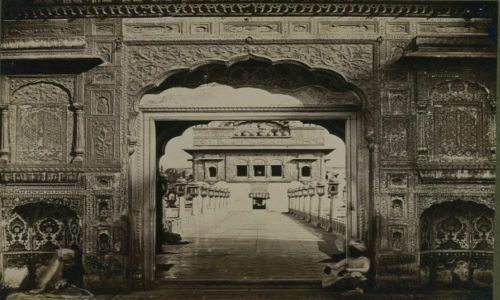 During the Misl period, when the Mughal Empire declined and the power of Sikh chiefs rose, many Bungas were built, not only to defend the Harimandir but to fortify the city. 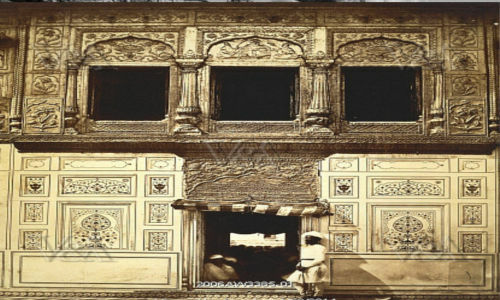 These were military establishments, but they also served as educational institutions and rest houses for pilgrims. 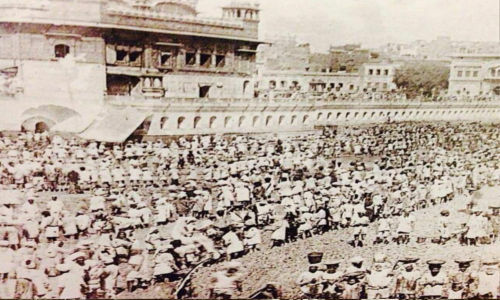 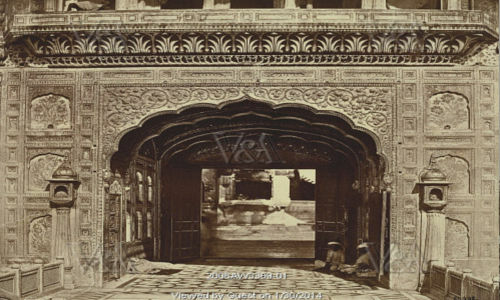 New roads, forts and Bazaars were also constructed during this period. 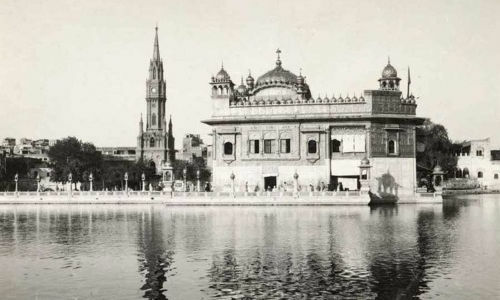 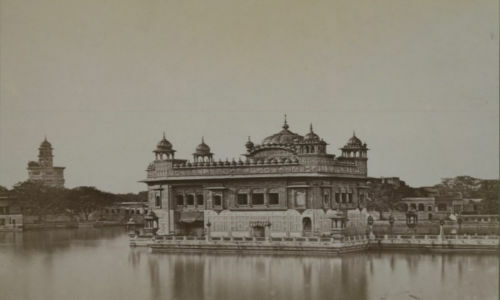 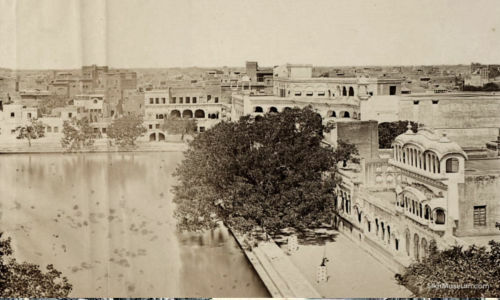 The Parikarma around the Sarovar was made in 1784, Later after 1801, when Maharaja Ranjit Singh had defeated the Misl chiefs and established his headquarters in Lahore, the shrine was embellished and ornamented with gold. 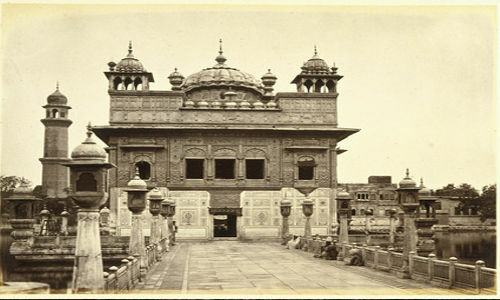 This process commenced in 1802 and the work included the application of inlaid marble panels onto the outer face of the building, richly embossed gilded metal sheets and a range of fresco techniques. 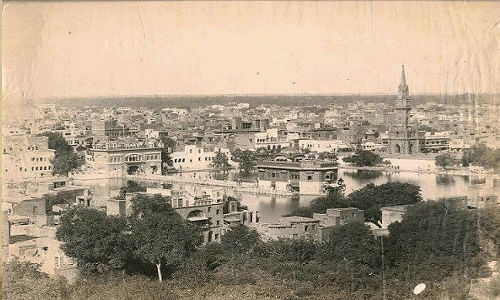 Maharaja Ranjit Singh also constructed the Gobindgarh fort in 1805-09 along with his own summer palace and a series of gardens and canals. 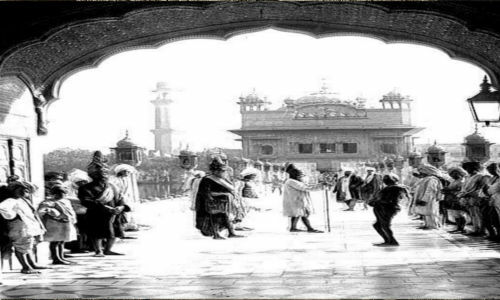 The British took over the management of the Harimandir on the annexation of the Punjab (1849-1947). 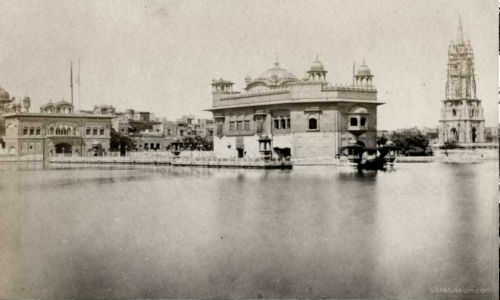 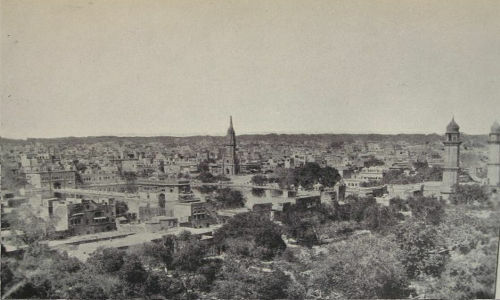 During their time they built several administrative buildings, railways, churches and roads within Amritsar. 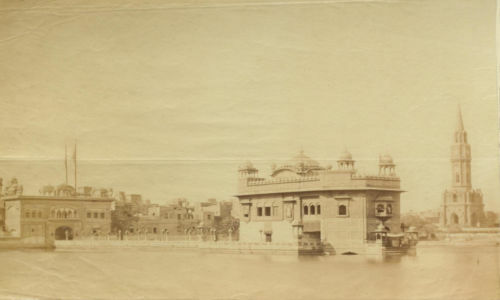 The clock tower was built in 1862 and with this the direction of the main entrance to the precinct of Harimandir Sahib was changed from the west to the north.